Even with great preparation and the advice of an attorney, due process hearings are very time consuming and stressful. This is especially true for parents. Before proceeding to due process, try to turn the situation around first. Here are some tips about what you can do. 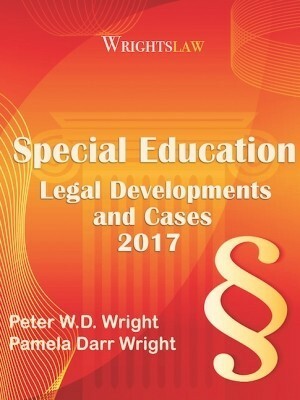 Read all the articles suggested on Wrightslaw. Get independent evaluations. Learn how to understand what they mean. Document conversations and meetings. Tape record meetings if you can. Ask clarifying questions and document the answers. Be sure you can clearly define the school’s position and reasoning. Be sure you can clearly articulate both your concerns and your child’s needs. Learn some of the terms the school staff is accustomed to using. Develop an ally from within the school members of the team if possible. This will help you state your position and look to another person at the table for confirmation. Read the success stories about what others have done. Win-win is possible. Sometimes there is no option but to go to a due process hearing. Sad, but true. It should always be a last resort. The law contains this procedural safeguard for a reason. It gives parents an option. The important point is to methodically work your way through the process before you go to hearing. It takes time, patience, self-control and work to do this. Most of the time you will be successful at some point before hearing. If not, you know you have done all the right things to get to a collaborative point with the district. You will never regret taking the high road in working with the school. Allow the district to save face, never rubbing it in if they capitulate. This is part of the collaborative process. Always be gracious in victory. How Does a Due Process Hearing Work? This entry was posted in Advocacy, Due Process and tagged due process, Procedural Safeguards by Debbie Larson. Bookmark the permalink. This article really doesn’t talk about the stress of due process, it spends most of the article talking about avoiding due process. Then it finally says that sometimes you have no option. Yeah well no kidding, and I was hoping to read about how to deal with the stress. Can Public School Districts getaway for not providing services with Learning disabilities, ADHD or any other disability to kids, when parent have all the proof from specialist doctors and psychologists? 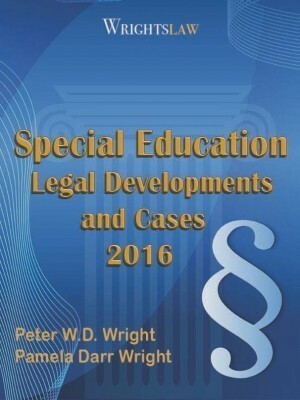 District never considered qualification under option C for SLD. They say the student did not have a processing deficit But examination of the processing assessments conducted show that these tests were only partially done and modified. AFter being denied services student was simply put back in Gen ed for 1st and 2nd grade, not even a 504. Not surprisingly student is reading at a K level as he prepares to enter 3rd grade. 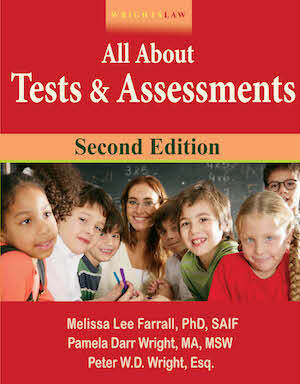 School has never been willing to listen to parent concerns about faulty initial assessment to reconsider qualification. Basically, student is tests out of superior intelligence but can’t read. School is willing to fund a neuropsych due to family pressure but what about the 2 years they just let him fail? Failure to qualify him initially caused harm, any compensation due this kid? Stress of Due Process Hearing Lori Yes the school attorney can do this however the school attorney cannot be the “hearing officer” that makes the final decision. The parent should also have an attorney present as well. Question. The school filed for Due Process, an IEP meeting was scheduled, the school district attorney whom is handling the due process was in charge at the IEP meeting, he asked all the questions etc. etc. Can he both attend and or “run” the IEP meeting and at the same time be the attorney for the due process hearings? Appreciate any guidance on this subject. SMM – Yes I agree. The school looks out for their best interests and try to spend as little money as possible. Sad. Beth-Have you been documenting the bullying IN WRITING to the school? If not, it is like it never happened. Have you requested, in wiritng, the policy for bullying for your district? We have a bullying law in our state. Research to see if your state has one. MEMORIZE it and then hold them to it! 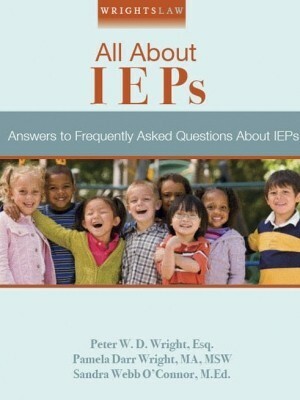 Bullying of a child with a disability, can result in the denial of FAPE, this being true, might make it an concern to bring up with the IEP team. The building administrator has a responsibility to ensure the safety of all kids, including yours, ESPECIALLY after he has been put on notice that it is going on, IN WRITING. I have been gracious at every turn. I have been nice, respectful, and complimentary. It doesn’t matter. With my district, it is all how to prove that they are the best district. Sad, but true. I understand that. I was naïve enough to think that if I was nice and accommodating that they would do their job and provide services for my child. Instead they play games. Bullying is aganist the law now in many states as far as I know. 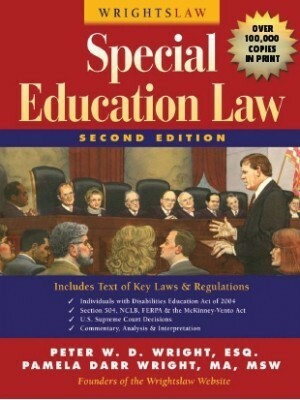 Check out this website: http://www.olweus.org/public/bullying_laws.page Also, go to your state department of education for more info on it. Bullying she never be tolerated and children’s concerns on it should be taken seriously; not dismissed. If your child is being bullied and the school refuses to intervene, you can file a complaint at the state level. I think the thing to remember about any “process” is that the intent is to enable the parties to find common ground. You may not get everything you want, but to have the opportunity to advocate for you child and to do whatever is in your power for the benefit of the one you love is absolutely priceless. We have been in the private school environment, without a voice. I don’t always enjoy the conversation or the results…..but I am always grateful for the opportunity… ..For example, our daughter comes from Eastern Europe, where she had no hope, no future, disgarded without the laws that we have here….this is an amazing country,…with all of its faults……when you consider what would happen to your child elsewhere……don’t give up…just don’t give up….. I appreciate the responses. I’ve presented Prior Written Notice to my district. As someone else wrote elsewhere, it means very little to the dsitrict. The district has all the time in the world while our kids time is ticking away. And, the districts know this all to well. I always advocate for my son in the most professional and politie manner. The attorney let me down in the most unprofessional manner. This person is paid by the state. It is a public agency; not private. She allowed me to believe she was going to assist me with due processing. I devoted a great deal of time, energy and money paper chasing, organizing and lining all the ducks up in a row. I handed all the details to her. She unceremoniously dumped me. 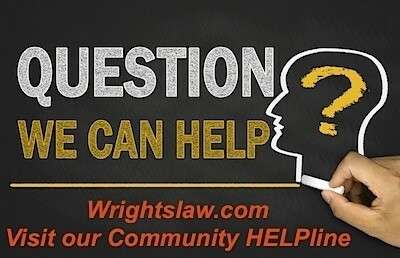 I can’t afford a high paying attorney so I face due processing alone without an attorney. When we thought like victims of a failed system, we experienced results of a victim. 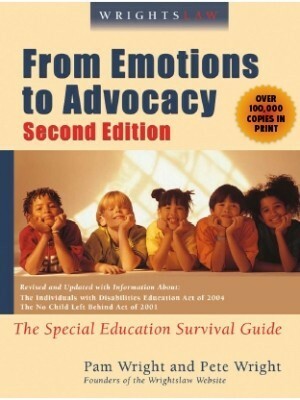 Once we read From Emotions to Advocacy and began to apply the strategies to our advocacy, we began to experience the results that we ultimately wanted. I know what it is to think, “you don’t know my situation and that our district is more difficult to deal with than most”. While they are difficult to deal with, most are the same. 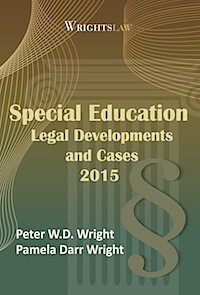 Attorneys who represent students are VERY difficult to find. Even if you can find and afford them, at some point, our kid’s advocacy will eventy be up to us as well as them at some point. Parents are their child’s best advocate for many reasons. We were able to negotiate educational services or our child without going due process. As parents, we assumed that the negotiation for services would be played on a level playing field. While the negotiation process is not a cake walk, a positive outcome can be reached without due process. 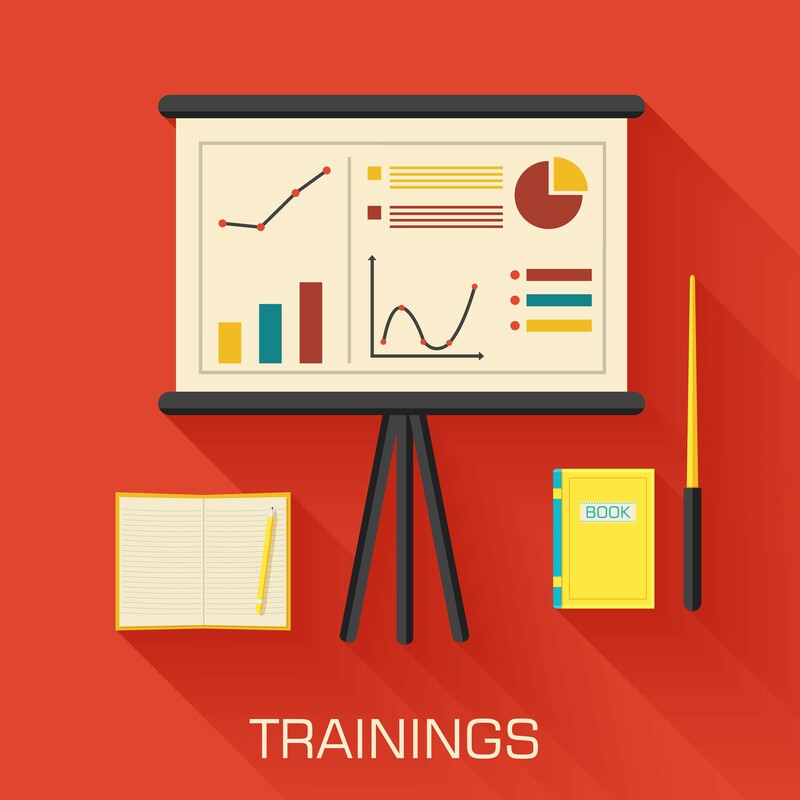 Our experience was that documentation and recorded IEP meetings meant very little. The SPED Director requested on tape and in front of our attorney., that we withdraw my child and denied making the request weeks later. If this is done in my face, imagine what documentation would be falsified in preparation for due process..
School attorney’s are guranteed payment even though our kids are not guaranteed educational services. 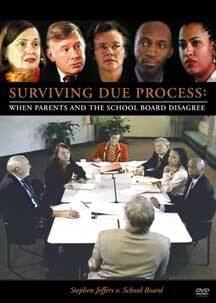 There is no incentive to correct the corruption that parents WILL be faced with in a due process hearing. Make copies of everything, backup drives and check the background of your lawyer. Always seek to settle if possible because you never know what the judge or jury will find. I have a dilemma. I sought the advice and assistance from an attorney through the state funded legal services agency in my county. The attorney gave every indication she was taking my case and preparing for due processing. 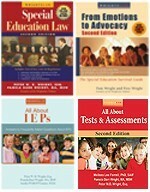 I sent everything to her including 3 audio recorded IEP meetings and provided a great deal of compelling evidence. In the interim, the school district unilaterally dropped the PDD-NOS under special alerts after I requested the IEP classification change from OHI to Autism. The district refuses to comply. My problem is after giving all the documentation to the attorney, she refuses to return my phone calls or emails. My last correspondence with her is that she was drafting the due processing forms and that was it. It has been 19 days since the last time I was able to connect with her. I don’t know what to do.